The Master of Landscape Architecture (MLA) is an advanced, research-based degree in landscape architecture. The program provides students with the fundamental design knowledge and skills for professional practice in landscape architecture. 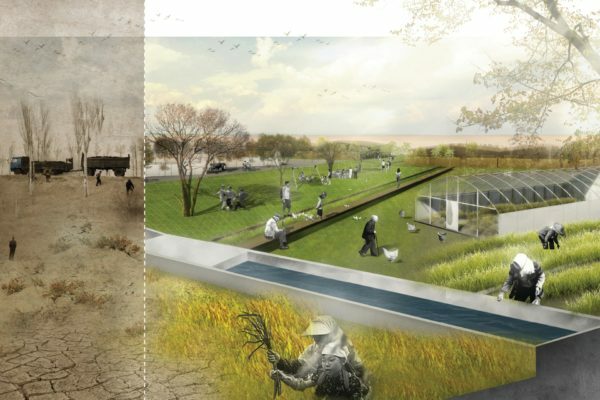 Students engage in a wide range of studies covering the history of the discipline, contemporary theories in landscape architecture, bio-physical systems, landscape materials and their technologies, and landscape design. The program is intensive and ‘world class’. In addition to project-based design studios and cutting-edge technical studies, students are expected to learn advanced skills in visual communication and digital technology, and engage contemporary discourses relating to the discipline and adjacent fields. Students are expected to write and research at advanced standards of academic excellence. Topical issues addressed during the program currently include issues such as urbanism, human settlements, community and heritage, public space, green infrastructure, impacts of climate change, environmental remediation, conservation, and sustainable development. Students are exposed to diverse approaches to a broad range of environmental and contextual challenges. Innovation and quality in design are strongly promoted. Students are required to carry out research projects and participate in field trips, overseas study tours, joint studios and building exercises. The MLA program is accredited by the Hong Kong Institute of Landscape Architects (HKILA). The HKILA has reciprocal membership rights with the Australian Institute of Landscape Architects (AILA) and the New Zealand Institute of Landscape Architects (NZILA).